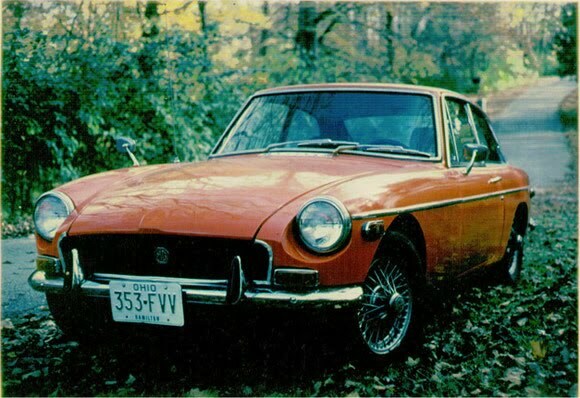 In another life I worked for a sign writing company as a spray painter and had to paint a MGB GT burnt orange. Only ever having painted a few cars before I took my time and it turned out great. Then for the test drive. I remember it being noisy and a lot of fun. There was a big smile on my face. Great little car. Looking for some more info I discovered that the hatchback body was designed by Pininfarina and it even had a song written about it: 'MGB GT' by Richard Thompson. Cool. Not many cars have their own song. and exciting don't they ? Hey, having " there own song " would not have been half the fun of having " their own song "
Was it to early in the morning Mr. Wordsmith ? I've discovered they really did have a huge impact and it was a bit late when I wrote that. Thanks for picking it up I have changed it. They were and still are a great looking car and in 1966 could run rings around the average Vauxhall Victor. But today..... You'd need to be keen. I had a 72 MG Midget - and that was bare-bones driving - dropped oil, rattled, leaked (some good sideways fun in the wet tho') . But today..... You'd need to be keen.